Golden Gate Audubon offers more than 100 field trips annually for birders of all levels. Our trips explore local areas from Golden Gate Park to the East Bay shoreline and hills, as well as such wildlife-rich destinations as California’s Central Valley and the Sierra Nevada. We also sponsor trips to other parts of the U.S. and to international destinations, including Latin America, Africa, and Australia. Field trips are led by experienced birders who are passionate in sharing their knowledge of birds and their habitats. See our Travel with GGAS page for upcoming travel opportunities. Local trips are free, except for any park entrance fees. Advance reservations may be necessary. It is advisable to confirm with the trip leader that a trip will take place as planned, especially if inclement weather is expected. Reports of recent and past field trips are on these pages. 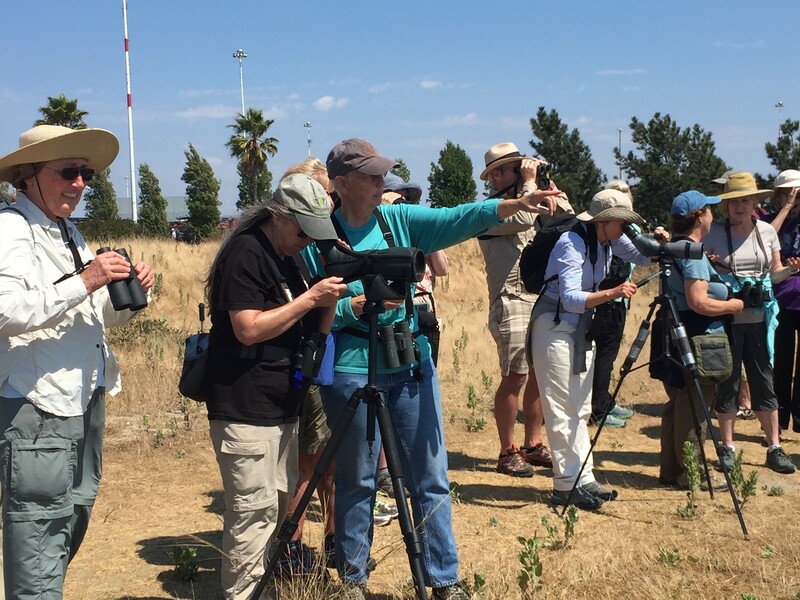 Our free field trips are just one of the many ways that Golden Gate Audubon connects people with our local birds. For over 100 years we have been providing critical environmental education, conservation and habitat restoration (currently at 8 Bay Area sites). Our work is supported solely through the commitment of local members, volunteers, and donors. We receive no portion of National Audubon dues. If you are not currently a member, please consider joining now. You can be part of our vital community for as little as $35. It’s quick and easy to sign up on our membership page. For questions about individual field trips, contact the leaders. We’ve started a new chat group where we can post updates to field trips and conduct general birding/conservation discussions. Click here to go to the site. Membership is free.